Many people learn of Batten Disease and feel compelled to help in some way. If you would like to contribute to our family and support our battle with Batten Disease you can make a donation by clicking the button below. Stay up to date with Chris and Nick on social media. From school activities, to play dates, to doctor’s appointments and more see what its like to live with Batten Disease first hand through the lives of these two brave boys. Click on the button below to go the My Brother’s Battle Facebook page. View photos of the Michaelson family below to see what they have been up to lately. Children and adults with Batten disease have inherited genetic material from their parents that may take some years to come to bear in their everyday lives. And when it does, families are often in shock when they learn how a normal child or adult (Kufs form) could change quickly, and without seeming cause. Regardless of where your loved one is in the progression of Batten disease, BDSRA wants you to know there is a community of people like you learning about and coping with this life limiting illness. Though recent improvements in genetic testing have made diagnosing Batten disease much quicker and more reliable, families tell of very long diagnostic journeys, often years after the first signs of seizures or loss of sight. In a recent needs assessment completed by BDSRA, more than 30 different diagnoses were reported by families before the final Batten diagnostic determination. Autism, seizure disorder, epilepsy, PDD and others are common early diagnoses. Our family has been fortunate to come across great resources and connect with other Batten Disease families via the Batten Disease Support and Research Association. We encourage you to view their website to learn more about this terrible disease and how you can help. 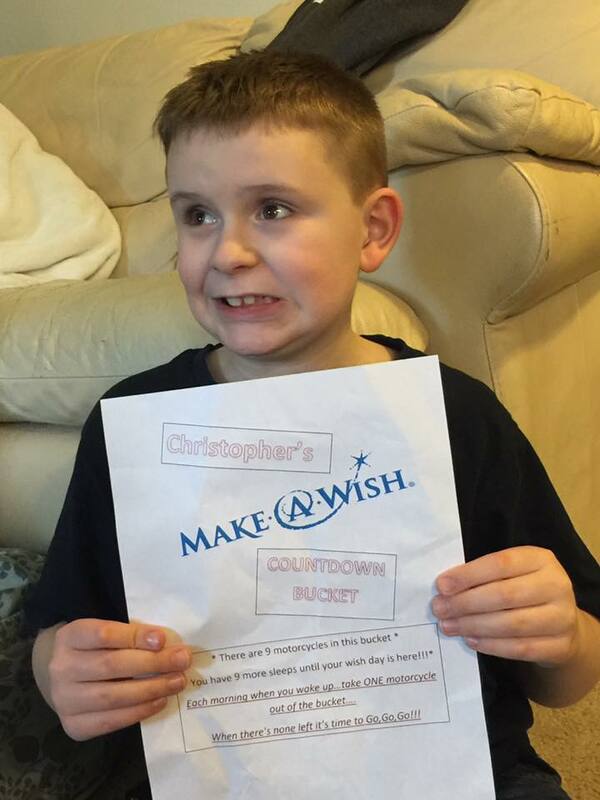 We are so happy and excited to be a Make-A-Wish family! 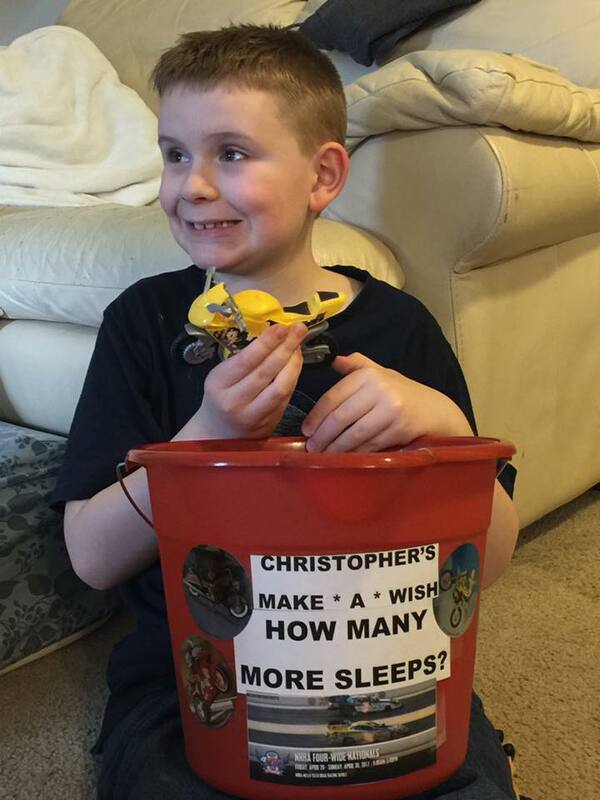 Chris has been selected to have his dream of becoming a drag racer come true! He will have this amazing experience at the NHRA Four-Wide Nationals race in Concord, North Carolina April 29 – 30, 2017. Being given this opportunity allows our family to focus on something positive rather than the hurt and pain. 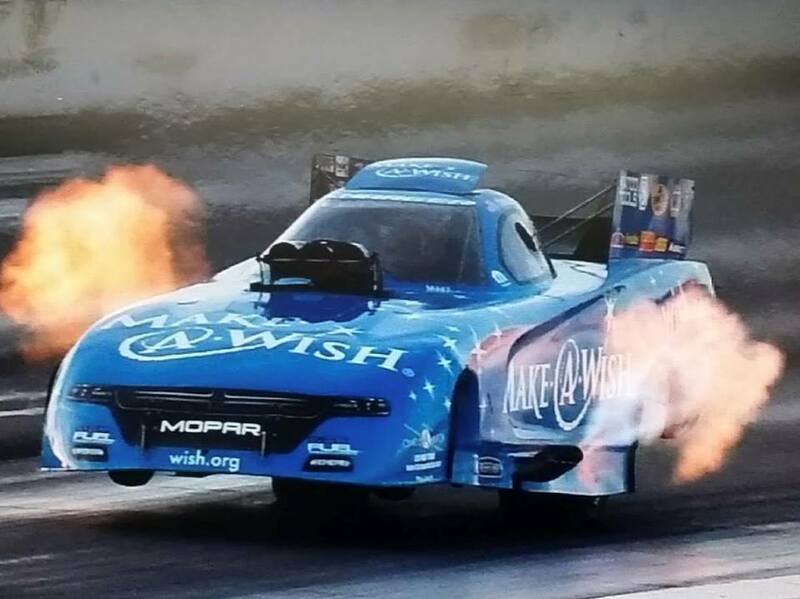 Thank you from the bottom of our hearts Make-A-Wish Alaska and Washington, NHRA, and Don Schumacher Racing! On June 10th 2016 our world came crashing down as we were told our oldest son would slowly lose all of his functioning, become bedridden, and eventually be taken from us all too soon from a horrible disease called Juvenile Batten Disease. On October 10th 2016, we relived this horrible fate as we sat in a cold sterile doctor’s office across from our doctor who had tears streaming down her face and gasped for air as she told us that our youngest son would also have to suffer through this monster of a disease. This fate was verified on November 10th when we received confirmation of his diagnosis through genetic testing. Our family has been struck to our knees and we are struggling just to function on a daily basis. Our children are our world and our life. This holiday season is going to be a very difficult time of year for us. As everyone celebrates, we will be struggling to come to terms with the fate of our amazing, loving little boys. We have decided to focus on the small things, the little things, the ones that are all so often overlooked in the chaotic fast paced lives that we all live. We will not think of what the future holds or dwell on what we have already lost, but instead look into the eyes of the beautiful, little boys beside us and thank God that we have had the chance to call them ours. We will no longer take the little things for granted and will make sure that our friends, family and community know how much they are appreciated for stepping up to the plate with us during our darkest hours. Our one wish for you is that you will see all the good in this world and do this too. Hello everyone and thank you for visiting our site! My wife Stephanie and I have decided to share our son’s story here in order to inform and update everyone all in one place. I will start with a little bit of our history in case you are new to our/Chris’ story. Our oldest son Christopher Lake Michaelson, was born Sept. 19th 2007,and is currently 8 years old. Chris has currently lost almost all of his vision and has been legally blind for almost two years. We started having concerns about his vision around the age of 6, not long after he started Kindergarten. We took Chris to the optometrist and they suggested glasses which he happily started wearing. After only a couple months his glasses seemed to not be working, so we again went back to the optometrist to find out why. The optometrist had a hard time finding answers for Chris’ vision loss so we decided to pursue a Nero-Ophthalmologist at the advise of our pediatrician. Over the course of a few months we saw multiple specialists and in May of 2014 were finally told that our son had a form of cone-rod dystrophy which would lead to blindness. Over the summer break between Kindergarten and 1st grade, he lost much more of his functional vision and went from being able to see bold print to needing to learn braille in just a few short months. Chris started 1st grade with the help of an amazing Teacher of the Visually Impaired (TVI) but, we started to notice some other issues affecting Chris’ learning ability. He seemed to be forgetting things that he had already learned and started having a difficult time remembering new information. He also started to have behavioral changes at home and wasn’t liking school anymore. Stephanie and I went to many meetings with the school and medical specialists and fought to get Chris the services and support that we felt he needed. The school and specialists shrugged off our concerns and told us things like: “He doesn’t seem to have behavior issues at school, so we’re not sure what’s going on at home” and “Well all kids his age have a hard time focusing and remembering things” The school and medical specialists were not listening to us or his TVI and we decided it was time for a change. It was then that we made our decision to move 1,700 miles from Tucson, Arizona to Bellingham, Washington. It was one of the hardest decisions we have ever made to leave our families back in Arizona but, we did our research and felt like it was the best thing we could do for Chris and our family.